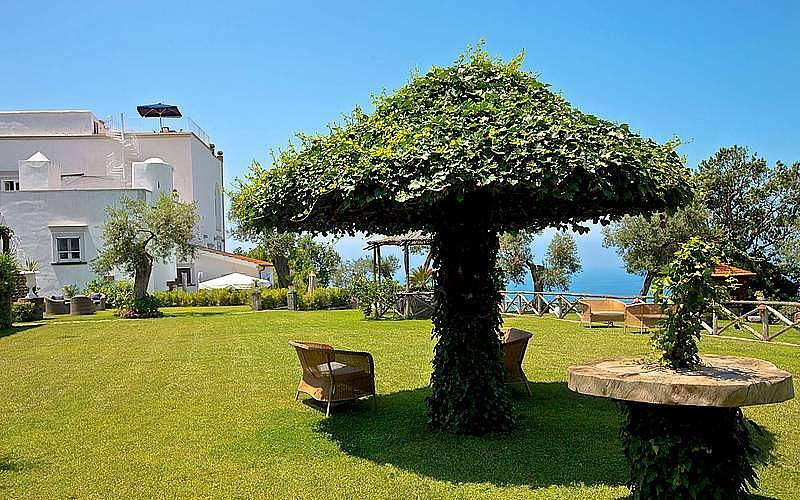 Just outside the center of Massa Lubrense, one of the prettiest seaside villages on Italy's Sorrento Peninsula, the luxury villa Residenza Molini sits, surrounded by its huge estate with historic olive trees, Mediterranean flora, and colorful tropical flowers. 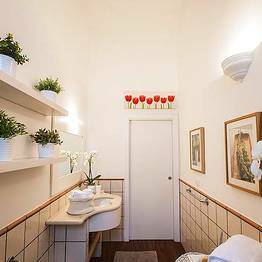 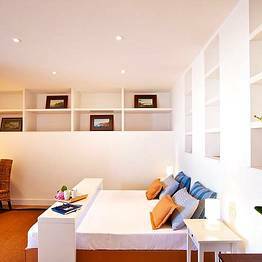 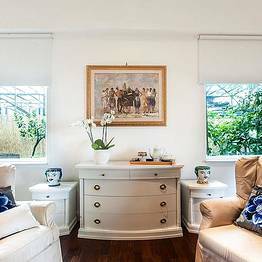 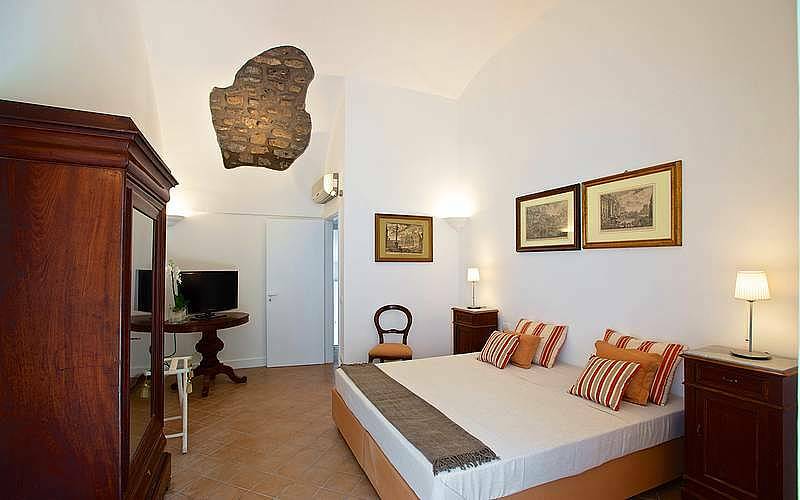 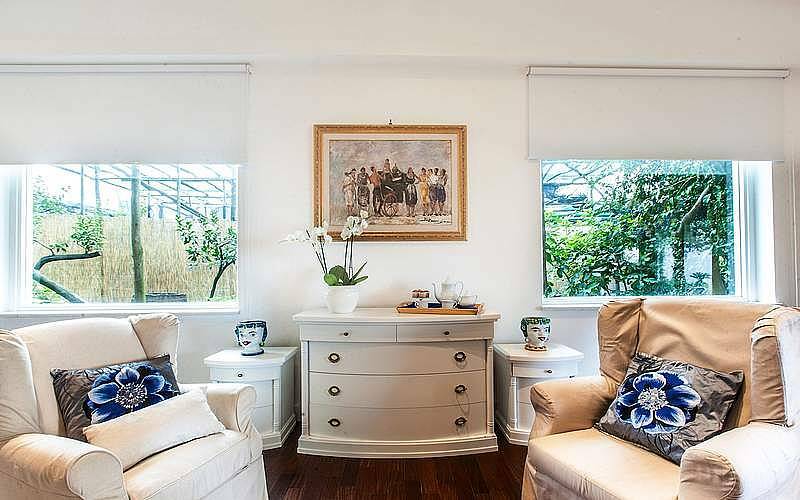 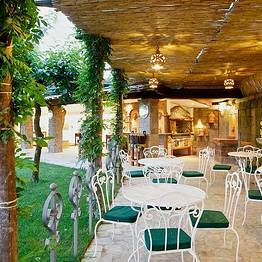 Here is where guests can retreat to their peaceful oasis on the Sorrento coast, far from the crush of tourist crowds. 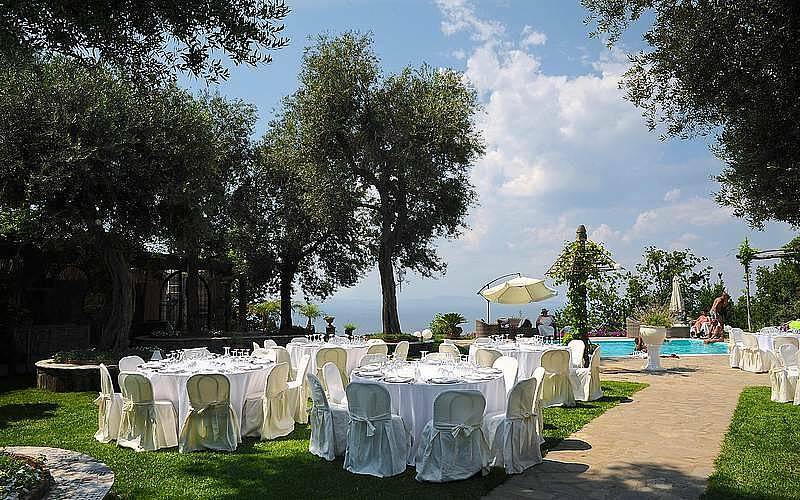 Pass through the gates at Residenza Molini and lose yourself in the soothing green gardens, with their numerous panoramic terraces overlooking the sea and the colorful flowered pergola. 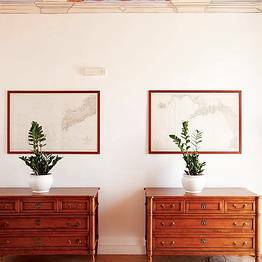 Find a quiet corner here to relax surrounded by the sweet scents and bright colors of the local flora which makes Sorrento such a treat for the eyes. 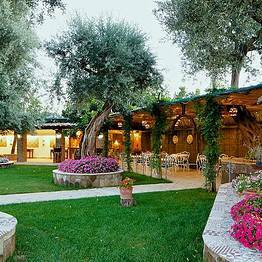 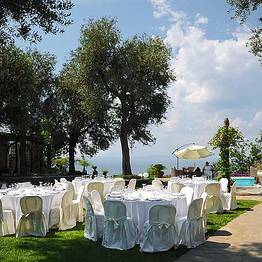 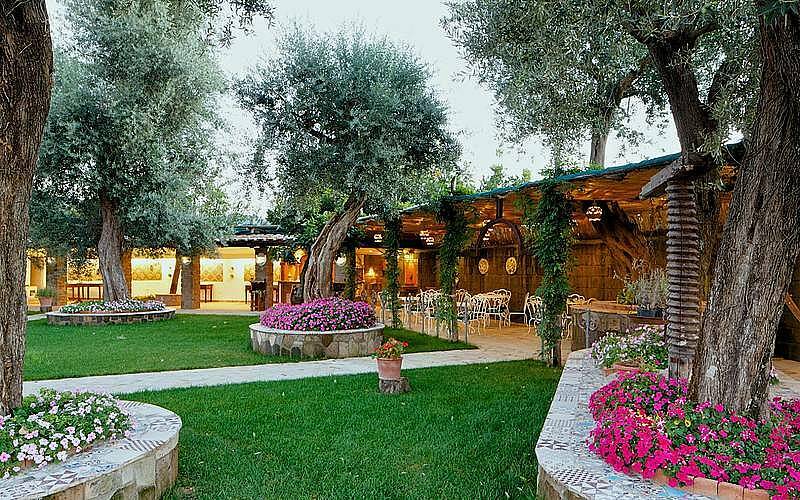 The stunning 6000 square meter estate includes wooden gazebos furnished with soft sofas and armchairs, so guests can retreat from the fast pace of daily life to slow down and savor their vacation on the warm Italian coast. 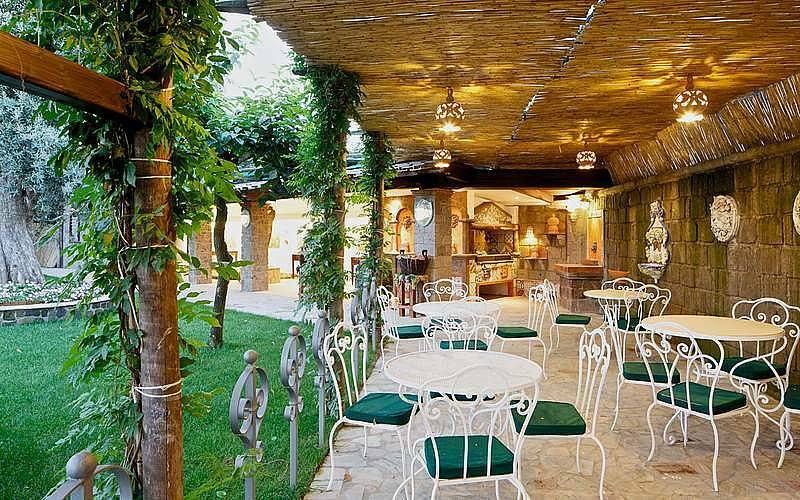 Wander the pretty footpaths and shaded trails which crisscross the grounds at Residenza Molini to discover new hidden corners, tucked away for the maximum of privacy and peace...and breathtaking views. 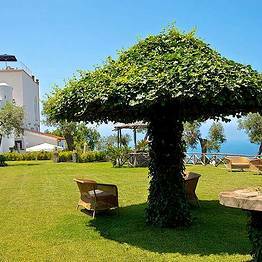 A garden path runs from the villa to a particularly spectacular scenic overlook on the estate, where the outdoor infinity pool sits, surrounded by lush flowers and facing the whole of the Bay of Naples stretched out to the horizon, including the island of Capri and the dramatic Sorrento coast. 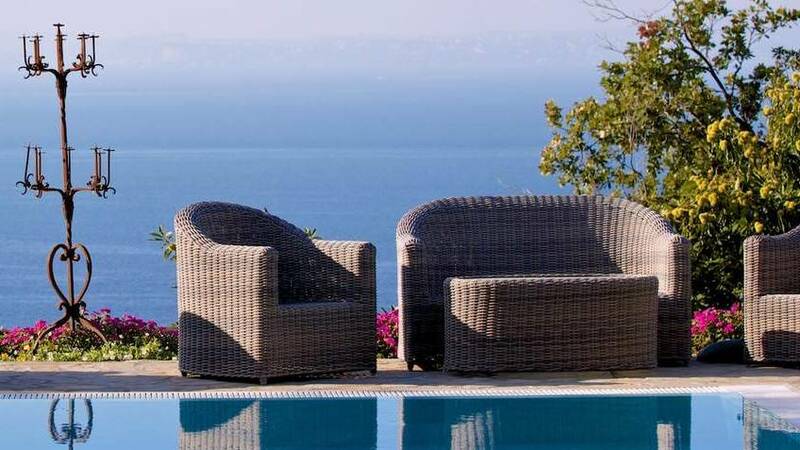 Guests can relax on the sundeck surrounding the pool, furnished with comfortable yet elegant loungers reflecting the classic and contemporary style of the villa, and while away the hours in the peace of the garden and pool. 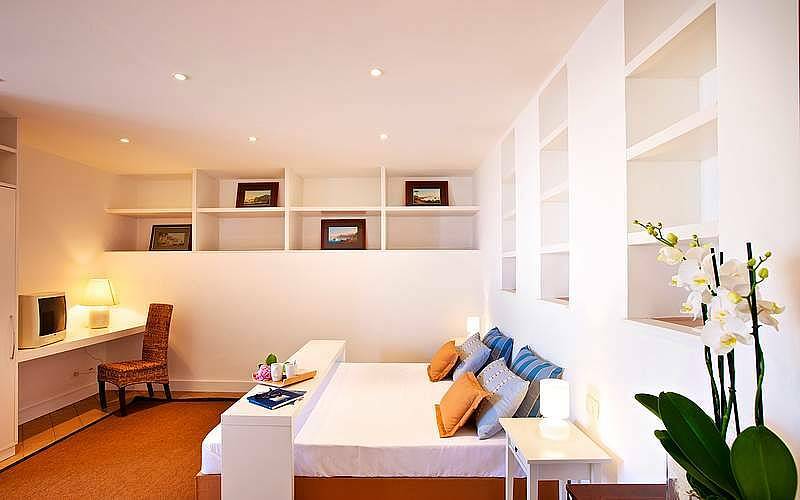 For guests who prefer to stay in shape during their stay, there is an open-air fitness area with a view, complete with all the equipment necessary for a full work out. 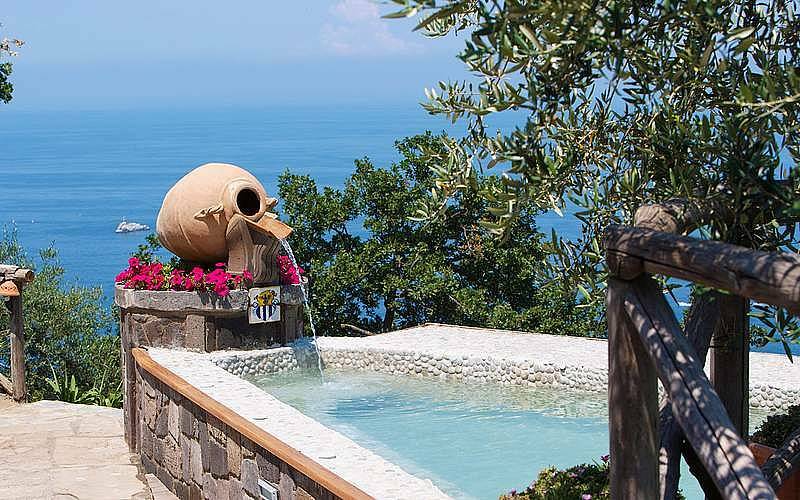 After you've trained, you can soak in the hot tub to reward yourself! 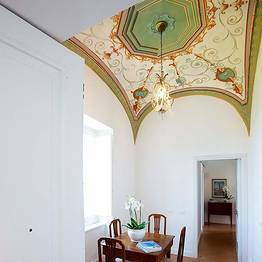 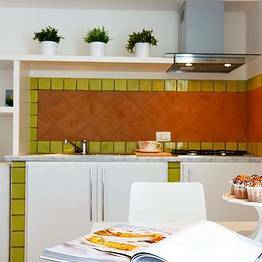 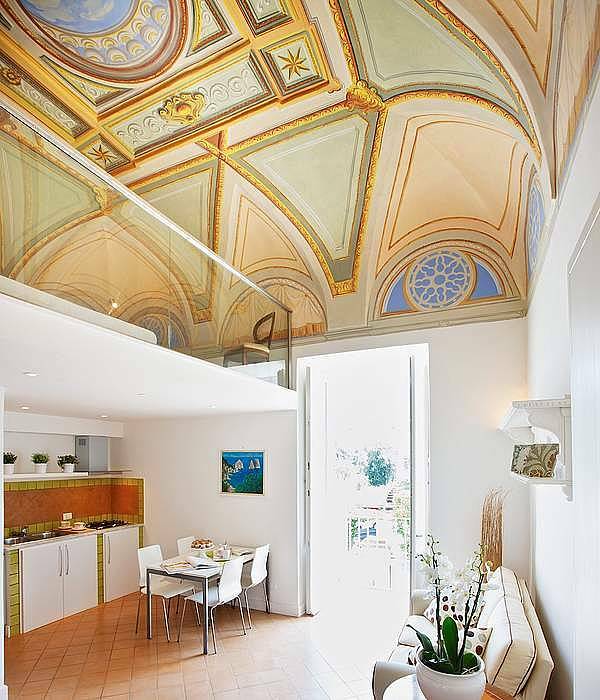 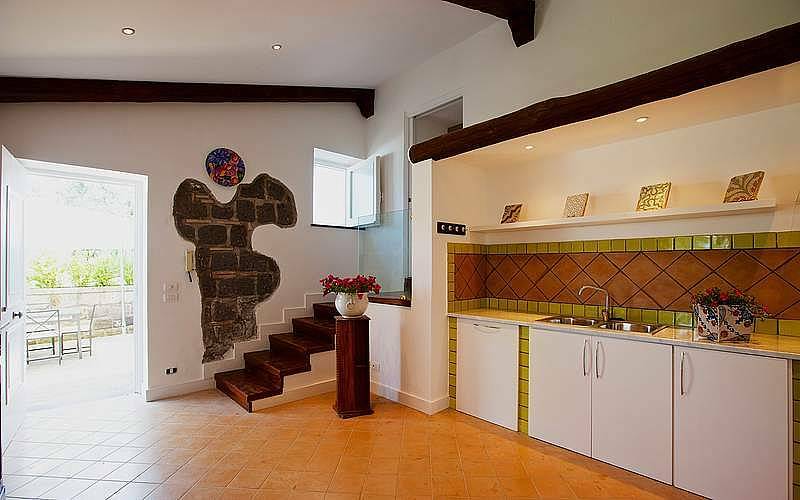 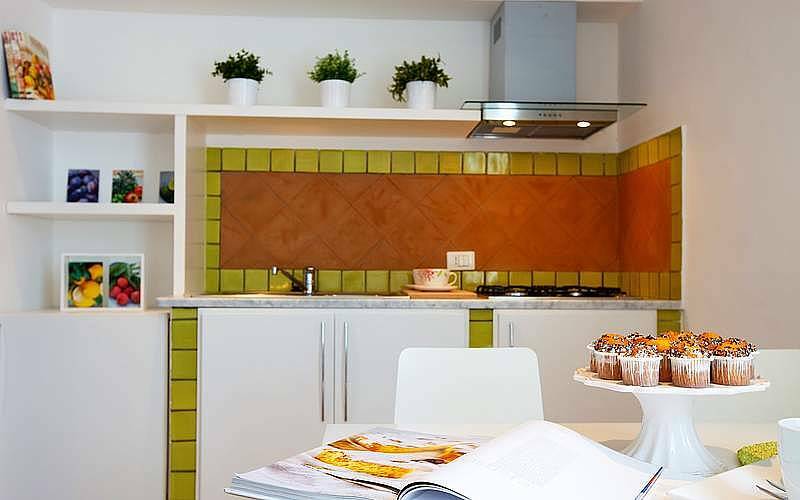 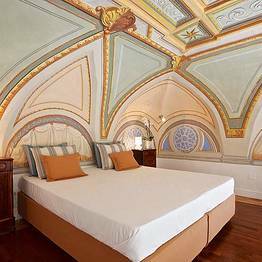 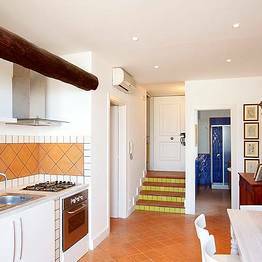 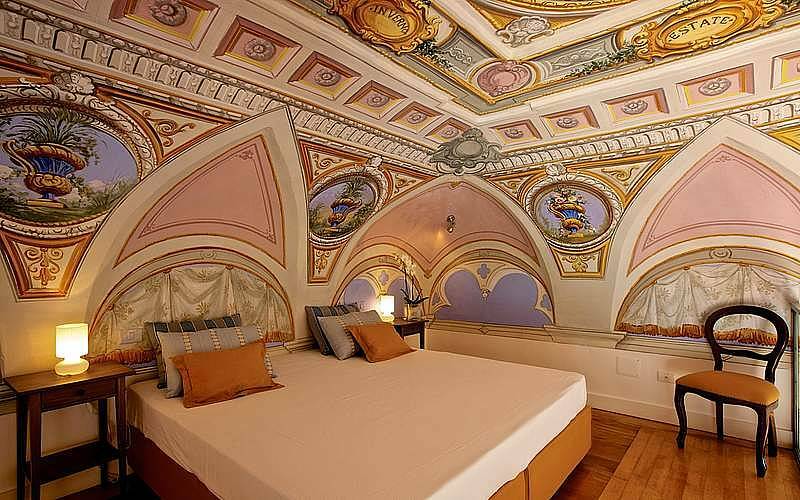 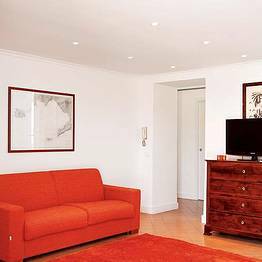 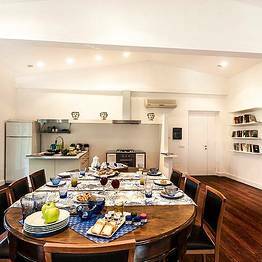 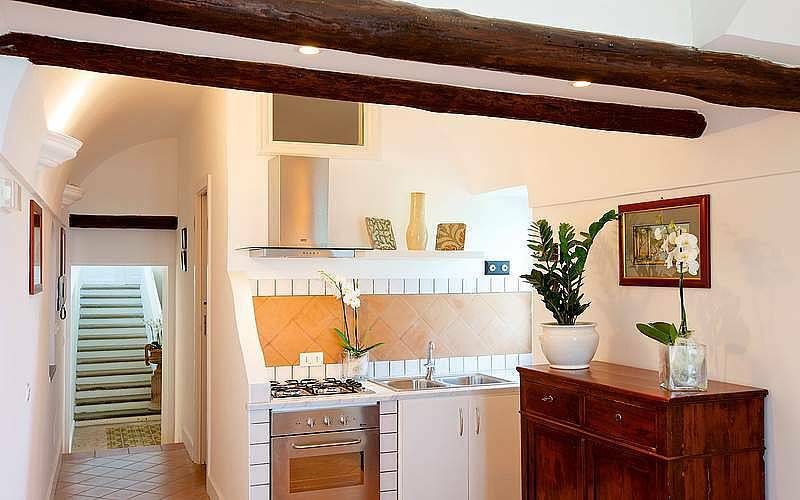 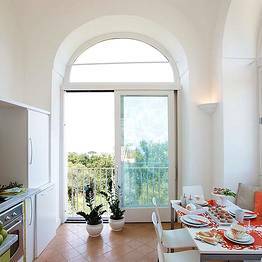 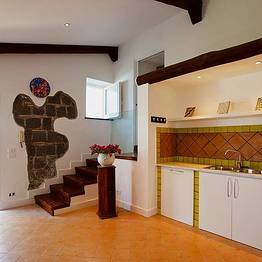 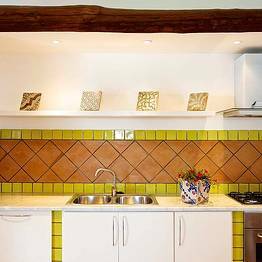 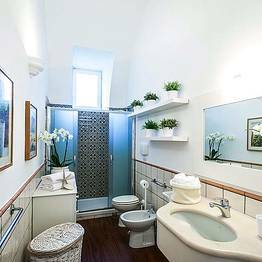 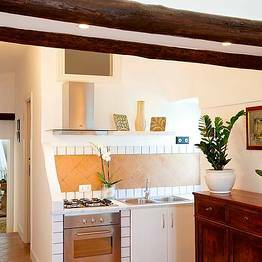 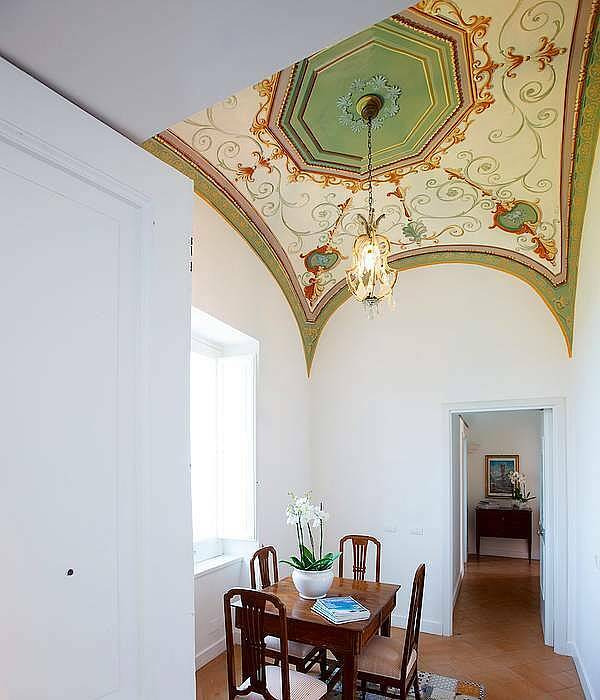 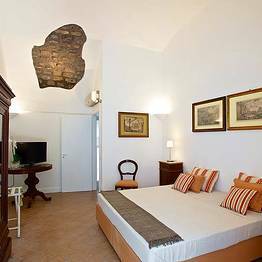 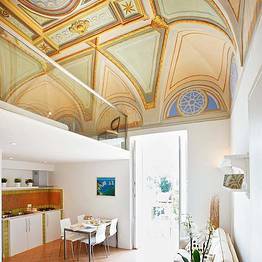 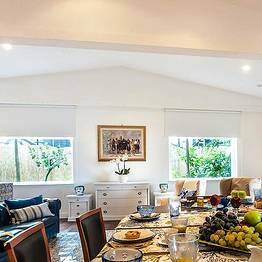 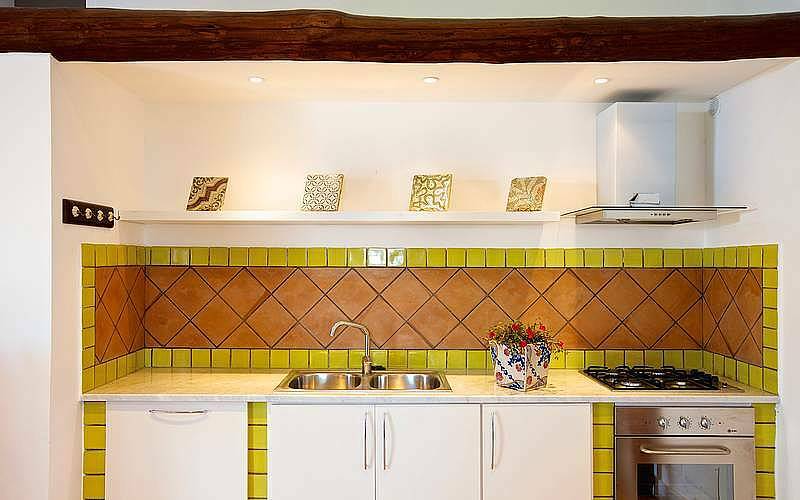 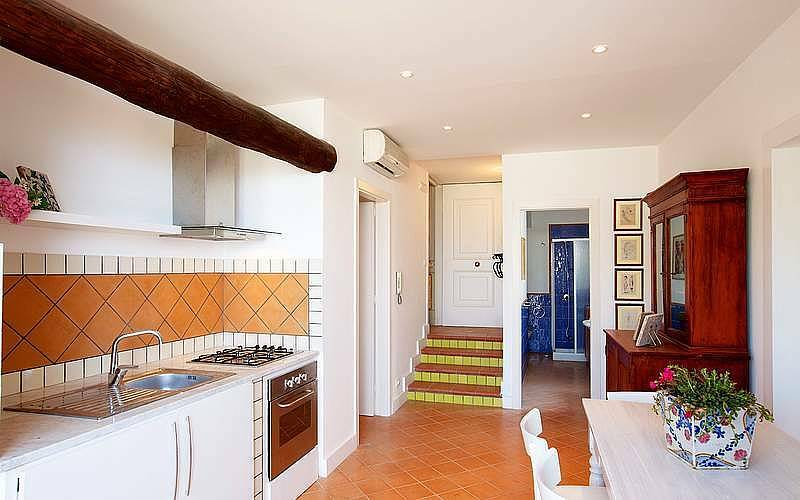 Residenza Molini can accommodate up to 20 guests in its 5 suites, with traditional vaulted and frescoed ceilings and a warm color palette combining bright whites with yellows and blues. 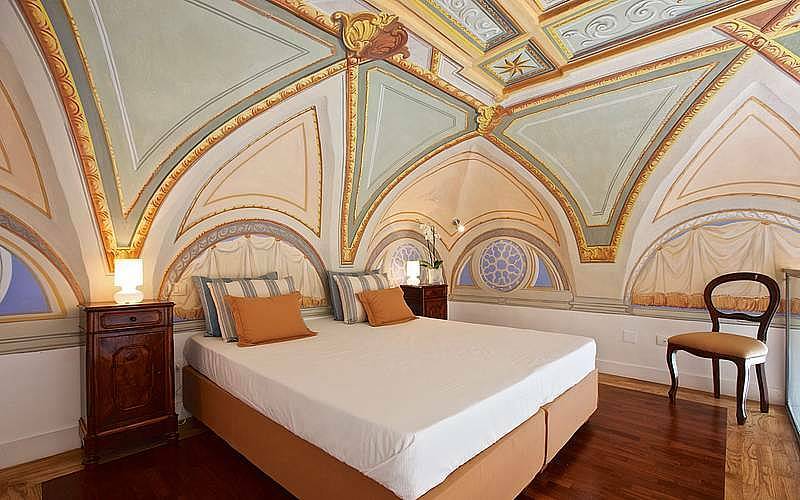 Guest suites all boast independent entrances and small private terraces with views over the Bay of Naples, furnished with loungers and coffee tables carefully chosen to balance the elegance of the palazzo, which give each suite that extra touch of privacy and independence of a separate mini-villa inside the main palazzo. 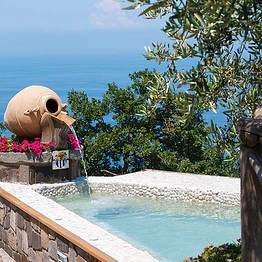 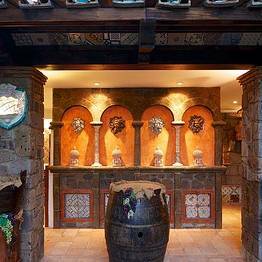 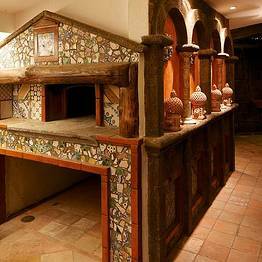 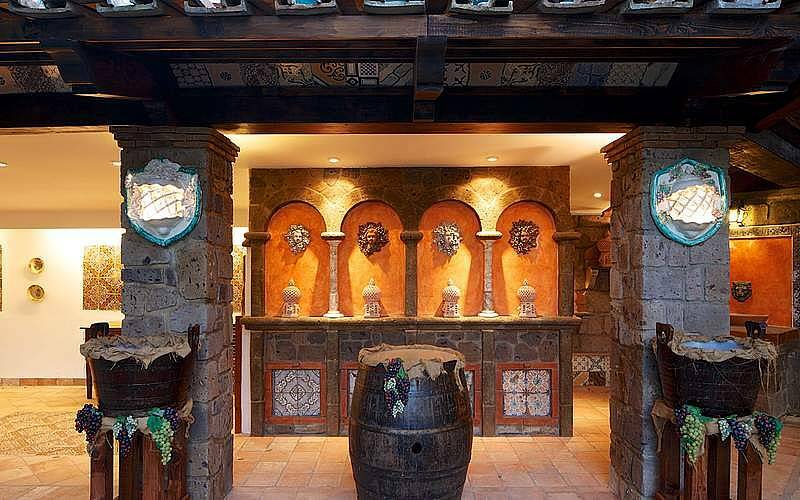 The estate includes the outdoor pool at Residenza Molini, where there is a portico made of tufo stone decorated with local majolica tiles from Vietri. 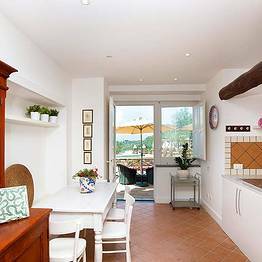 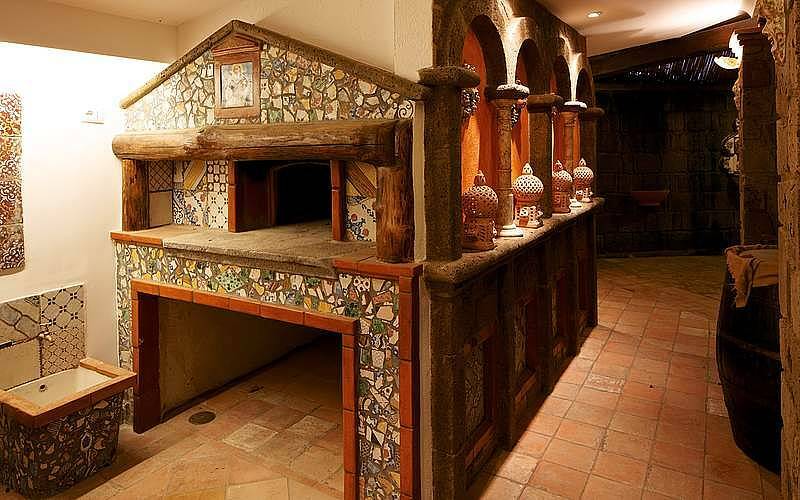 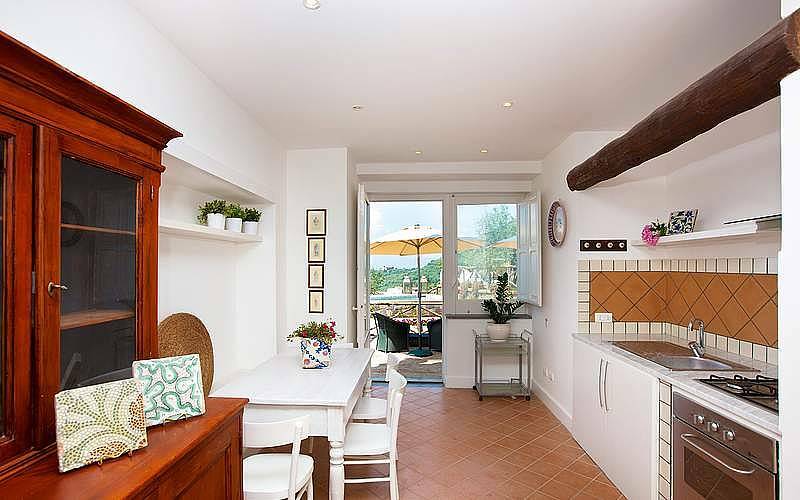 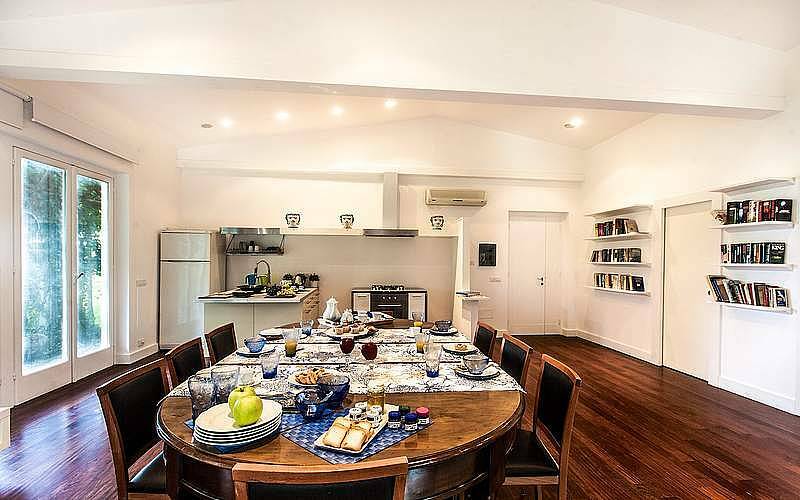 Under the portico, there is a full professional kitchen, with a wood-fired oven and barbeque perfect for preparing a summer dinner with family and friends and eating al fresco in the outdoor dining space. 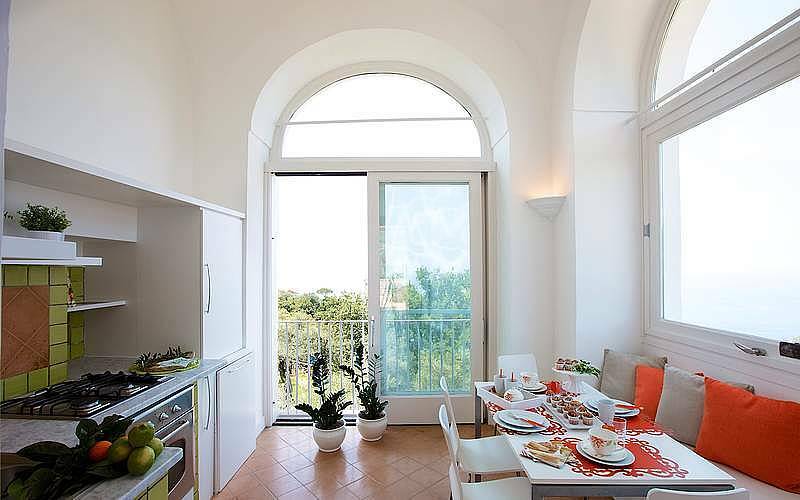 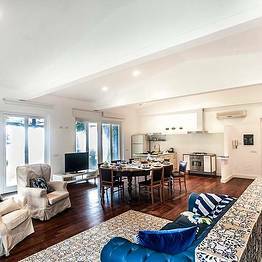 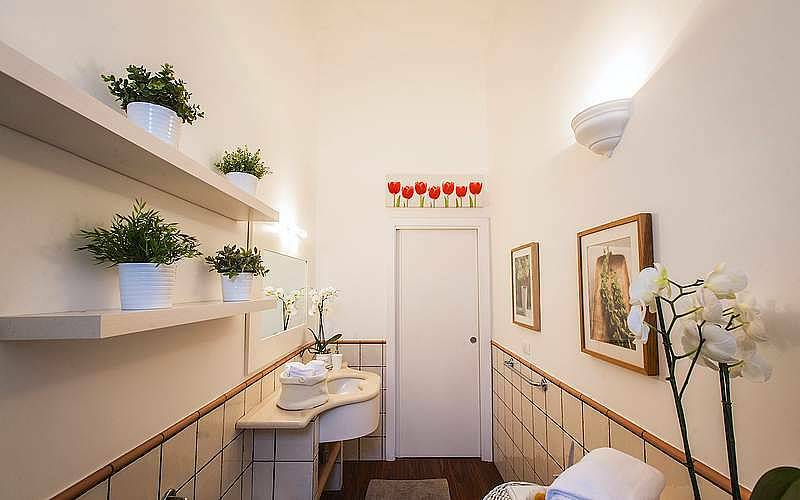 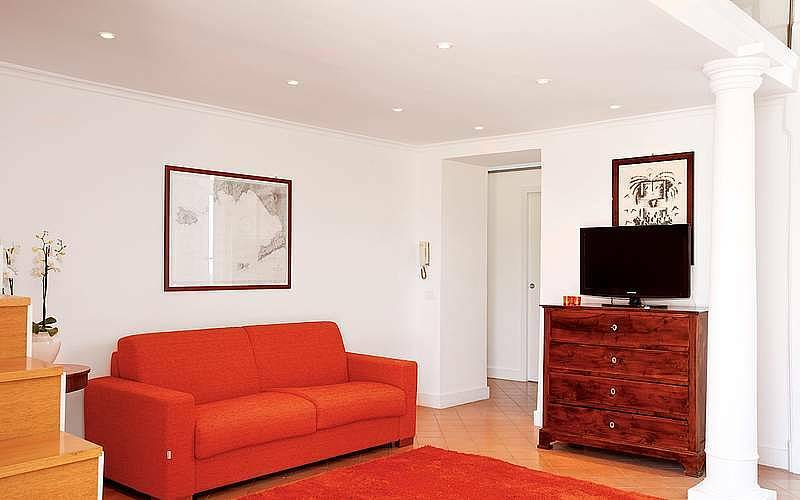 Residenza Molini is strategically located for visiting all the most interesting destinations and sights on the Sorrento Peninsula and Amalfi Coast. 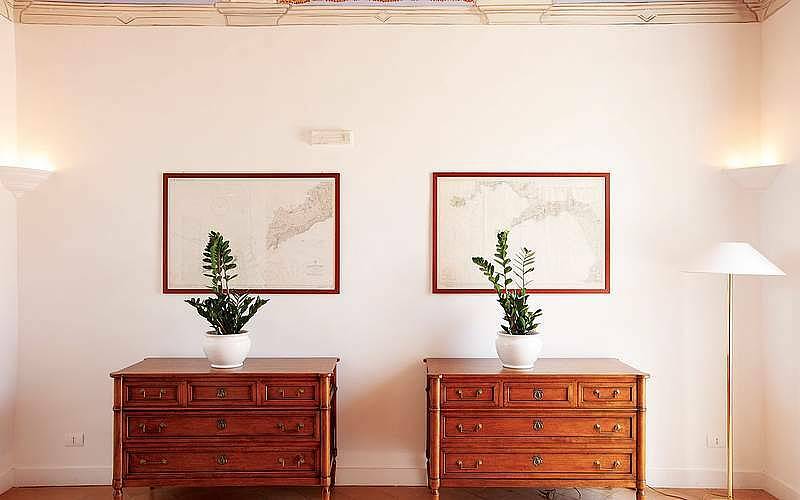 The villa offers guests a concierge service to help organize day trips and tours by land or sea to the nearby towns of Positano, Sorrento, Pompeii, and Ravello, in addition to numerous other destinations in the vicinity. 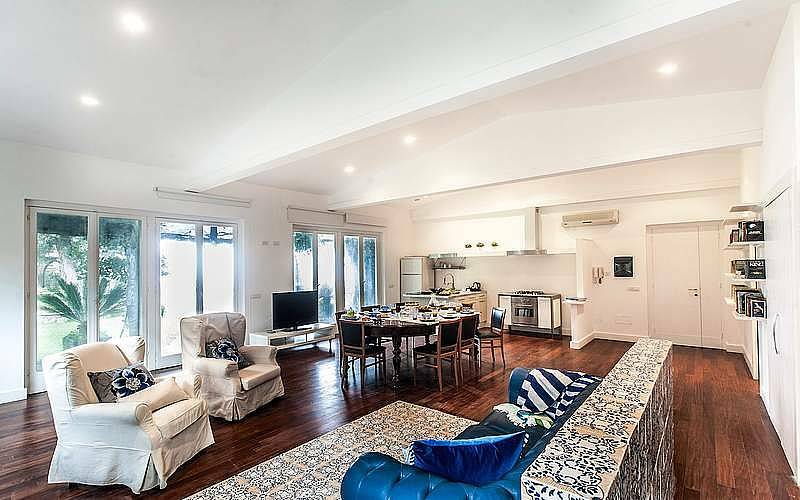 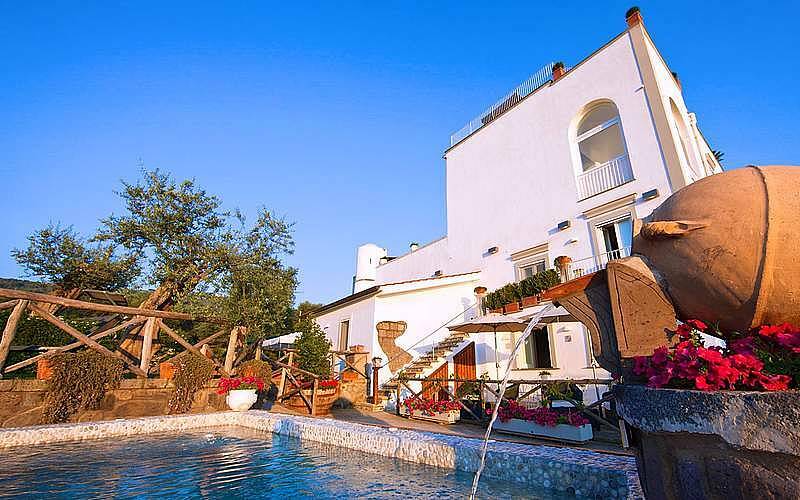 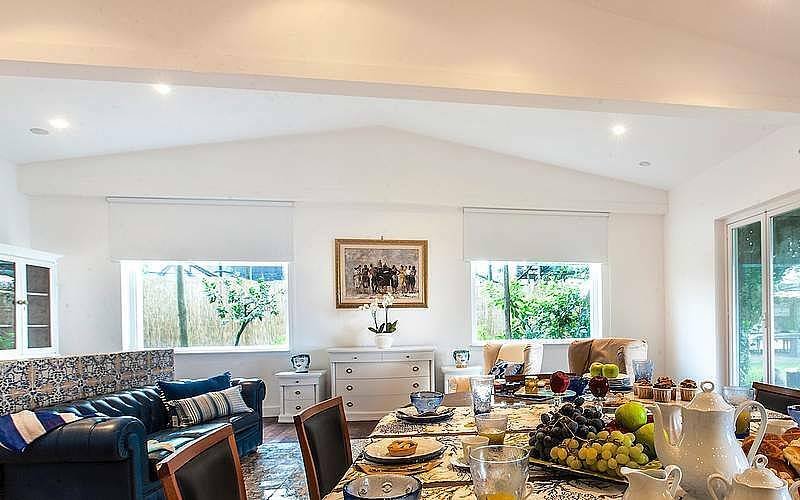 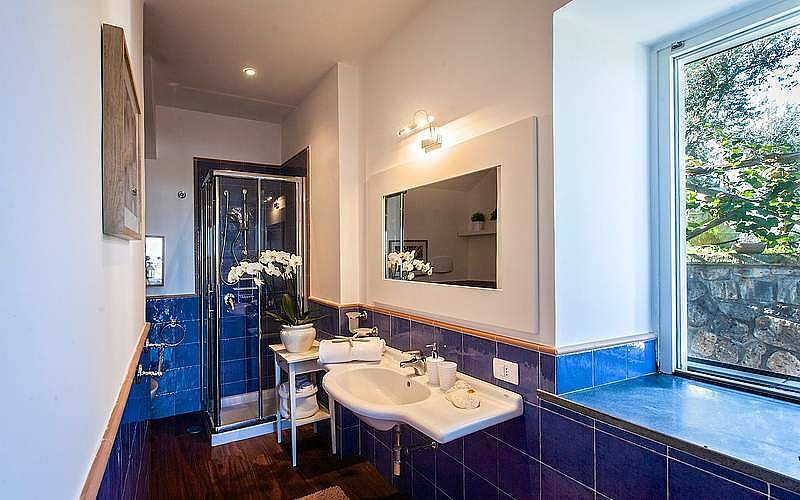 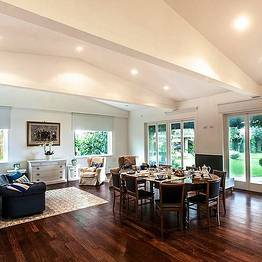 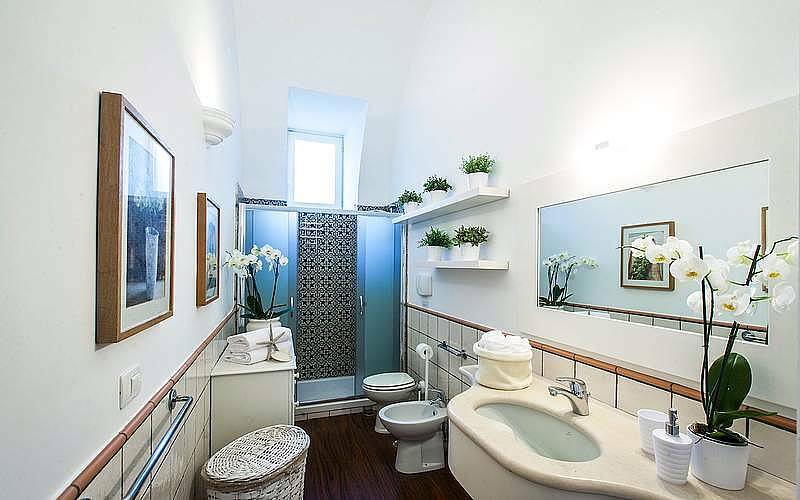 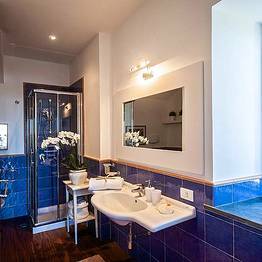 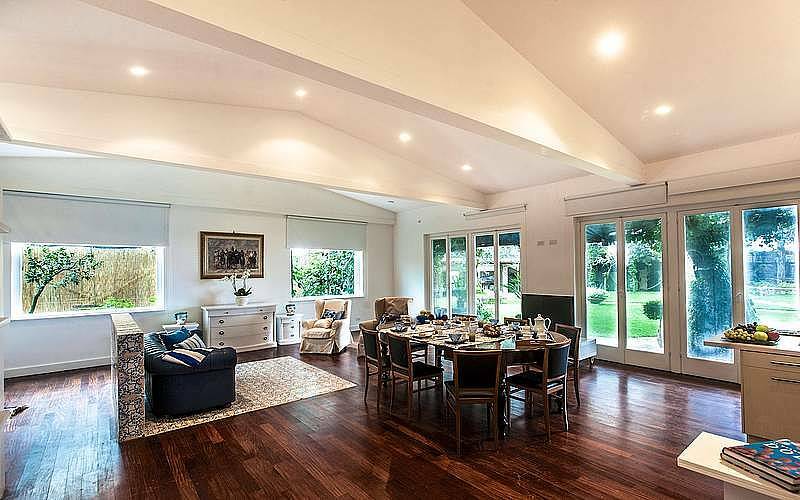 The Residenza Molini welcomes you to the luxury villa and estate near Massa Lubrense, one of the most beautiful and picturesque spots on the Sorrento Peninsula and close to the famous towns of Positano, Sorrento, and Ravello.